Ganesh, Ganpathi, Vigneshwara, Gajanana, Mushika Vaahana, Chaamara roopa, Maheshwara putra.. Called with different names, worshiped by crores. Lord Ganesha. The destructor of all obstacles. Saviour of all mankind. The son of Lord Shiva and Maata Parvathi, Naughty brother of Subramanya. The cute little big belly child on the form of God is coming to enlighten our lives on Thursday, the 17th September. Creative Nails is eagerly waiting to welcome Gauri and Ganesha. 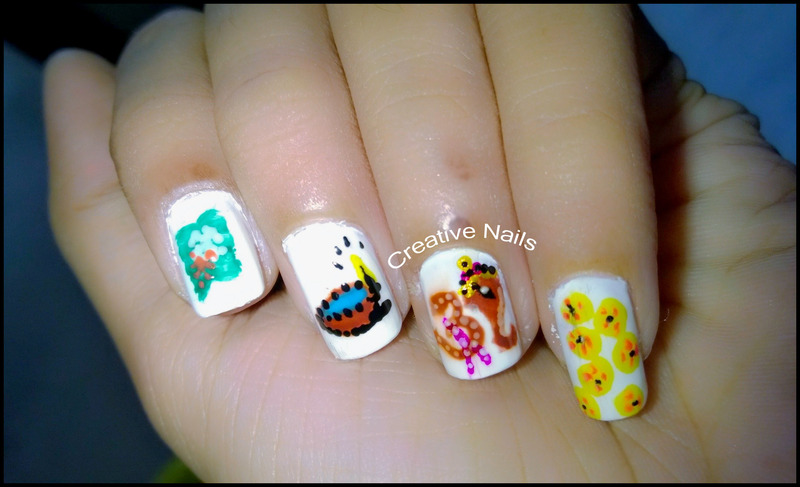 ← Dahi Handi On Nails! !